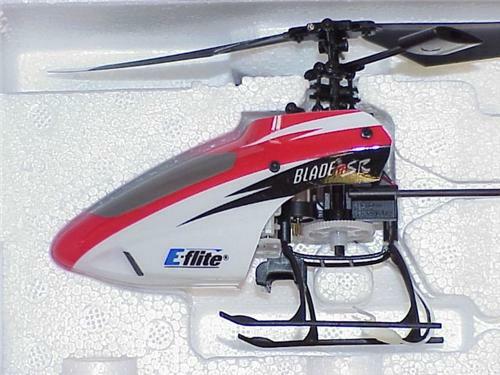 Here you have an E-Flite EFLH3080 Blade Msr BIND & FLY Ultra-Micro Electric Helicopter !! This is a sale for the BNF Heli, 3.7 Volt 120Mah Li-po Battery Pack and Owners Manual. You can simply bind this Heli to any New Version 4 to 7 Channel Spektrum Series Transmitter and you have another complete heli ready to fly without having to purchase all the other expensive un-neccesary items that come with the whole package. Please understand that this package includes the complete ARF "RED" E-Flite Msr Heli, Original Battery Pack, Owners Manual and original protective storage box. Why bother with buying all the other items if you don't need them ? This way you can bind this new heli to any one of the New Version Spektrum Series Transmitters, install onboard battery pack and you are up and flying !!!! While one of your heli's is out of commission needing repairs you have another !! Never miss out on flying time again. It will also include the Original Msr Owners Manual so that you can refer to it if you need it for the binding process !! You can't go wrong here when you will receive an E-Flite heli, you have a Low Purchase Price Of only $99.00 and if you buy it now, you can receive it in just a "few days" !!! So take advantage of this limited time offer and get this Great Heli Now !!! This is an all new direct replacement Teriffic Heli !! !